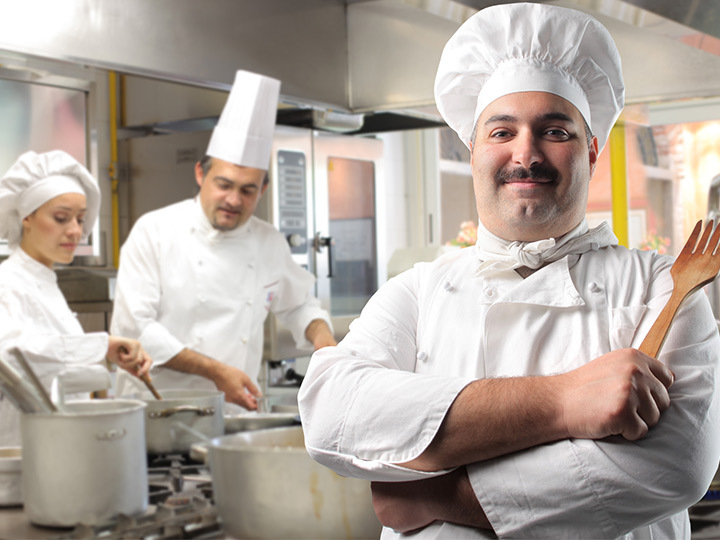 Our kitchens include food preparation and serving benches, gas and electric cooking equipment, sinks, shelving, dish and glass washers and refrigeration. 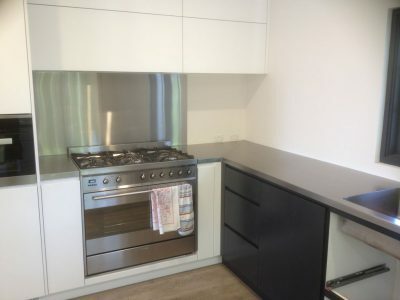 BBQ & pizza kitchens can also be made. We can custom design and install any domestic or commercial stainless steel kitchen exactly to your specifications. 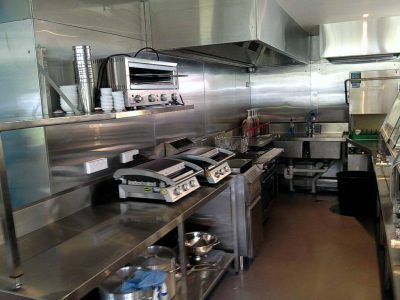 Understanding that everyone has unique priorities for their commercial kitchen is one of the reasons we try hard to regularly communicate with our clients during the design process so that we fully understand what your vision is. This means most often we can get the project perfect the first time around with minimal edits. 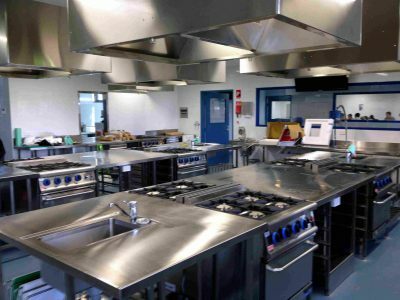 MKD Custom Stainless & Design only use the highest quality fixtures for your commercial kitchens and benches that are built to last – handling the sort of wear and tear one can expect in a commercial operation. Stainless steel in kitchens is hygienic, low maintenance and resilient. 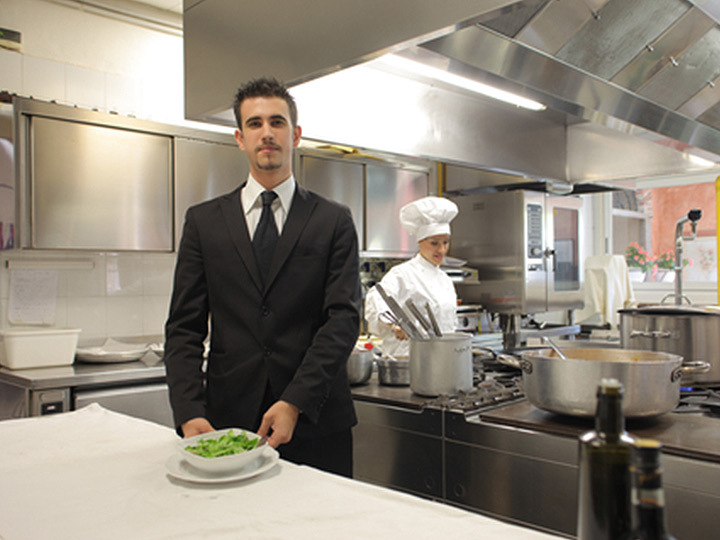 It’s a perfect choice for commercial kitchens in hotels, sporting organisations, restaurants and hospitals. Here’s The Good Stuff. 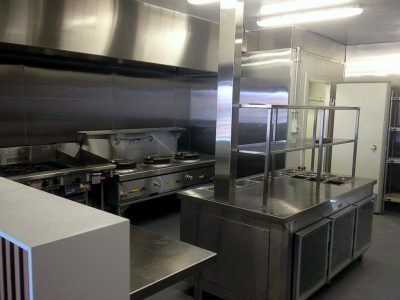 Some of Our Best Work For Commercial Kitchens Is Featured Below.